The organisations leading Britain’s emerging physical activity movement have been recognised for their pioneering work at the inaugural ukactive Awards. Stars from across the UK arrived in Manchester (Thursday 21 June) for a glittering ceremony to celebrate a vast range of organisations and individuals. More than 800 guests saw star hosts Baroness Tanni Grey-Thompson and Greg Whyte present the award for National Leisure Centre of the Year to Life Leisure Stockport Sports Village, while six regional winners were also announced. The first ukactive Awards – an evolution of the traditional Flame Awards – introduced a wider array of categories to better celebrate the range of leaders getting more people active. New award categories included Campaign of the Year, won by Ordnance Survey, and the Healthy Community Award, won by MAN v FAT Football. Matrix Fitness were proud to sponsor the Physical Activity Champion award won by the deserving – Louisa Chatwin. Meanwhile, the Supplier of the Year – a much-vaunted award from the Flame era – was named as Future Fit Training. Each of the award finalists underwent a rigorous independent assessment process designed to select the best in each category from hundreds of entrants, as well as to provide priceless feedback about how to share success stories. Several stages of evaluation took place, including customer insight surveys, mystery calls, visits and a ‘Judges’ House’ assessment day at WeWork London. The dazzling awards ceremony was followed by an after-party featuring twin DJ duo The Menendez Brothers. 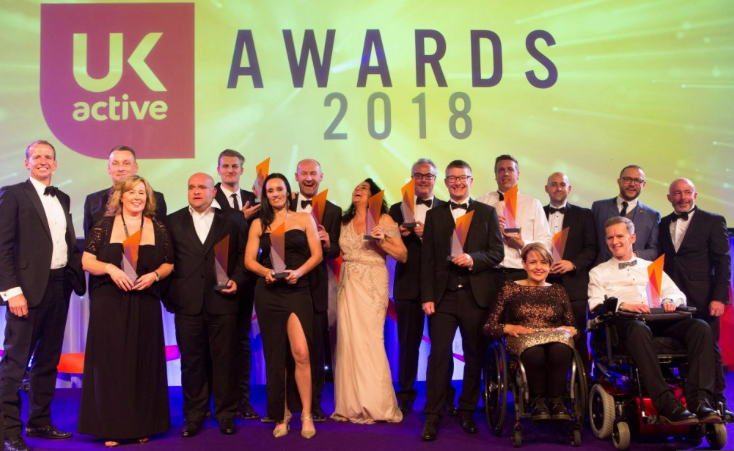 ukactive Chair Tanni Grey-Thompson said: “It was a privilege to co-host the first ukactive Awards in their new format and the competition was particularly fierce this year. ukactive CEO Steven Ward said: “Given the growing contribution of physical activity in all aspects of society, it seemed only fitting that we expanded the ukactive Awards to recognise the full breadth of our movement to create an active nation. For the full list of winners visit ukactive – News here.